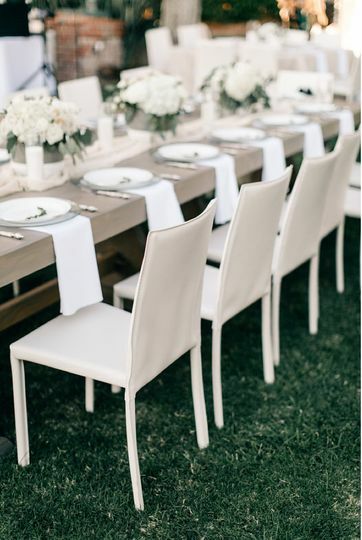 Skyla Brooke Weddings and Events is a full-service wedding event planning company based out of Scottsdale, Arizona. 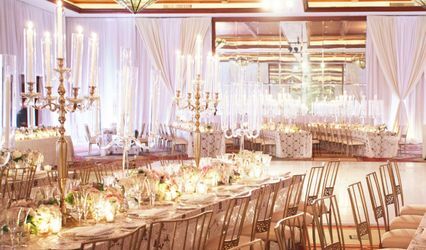 With a passion and knack for decor and event management, this company is here to help you achieve exactly what you want for the wedding of your dreams. 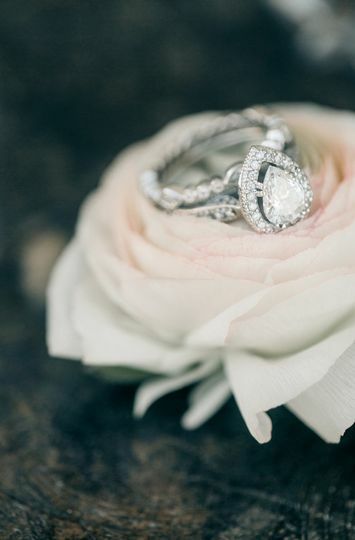 Owner of the company, Skyla, will provide wedding couples with a wedding planning experience that is stress-free and enjoyable every step of the way. Hiring Skyla to be our wedding planner/florist turned out to be the best decision we made while planning our wedding. 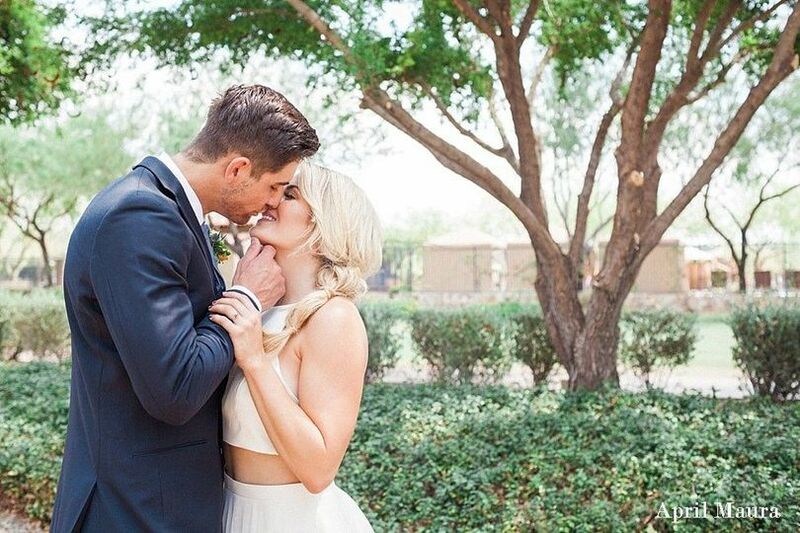 She turned our backyard wedding into a stunning, elegant, and magical night. 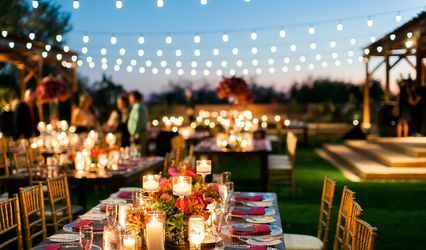 The planning process was flawless, she handled every detail and logistical questions/concerns that come with having a wedding at a private estate. I also want to point out that we live out of state, and having Skyla made planning our wedding stress free from start to finish. 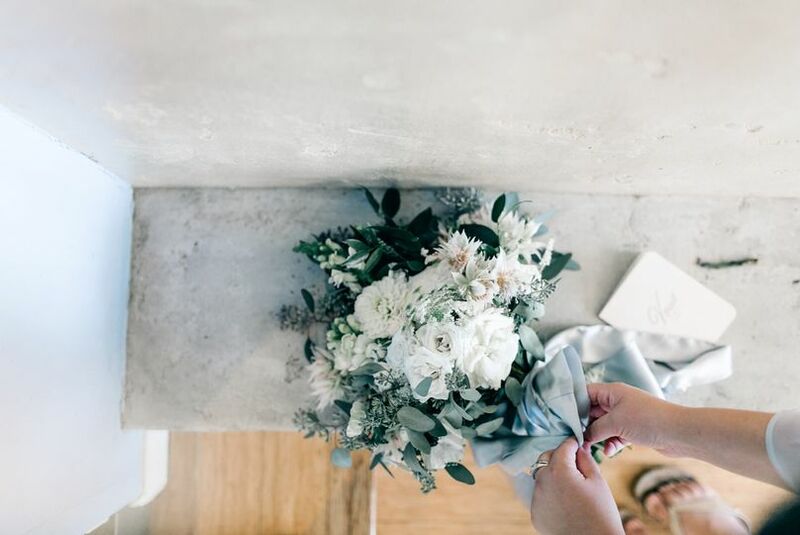 On top of that, Skyla’s florals were so beautiful and captured the vibe we were going for perfectly. 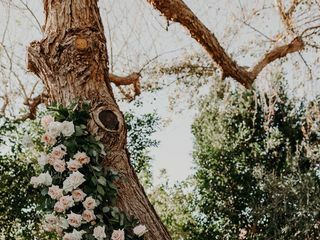 She came up with an incredibly creative way to design a stunning rose and eucalyptus display on the tree we got married under, it literally stole the show (see the pics!). 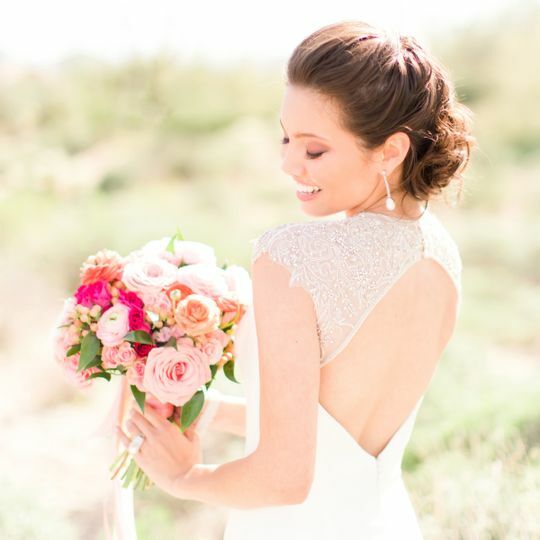 You will not regret using Skyla for planning and florals! We are so happy that we hired Skyla! Skyla and her team were more than worth the money and one of the best vendors we hired. There were times when we would get stressed and not sure what direction to take, Skyla was always so helpful in pointing us in the right direction. She is also very quick at responding, I would text her and she would respond within seconds. 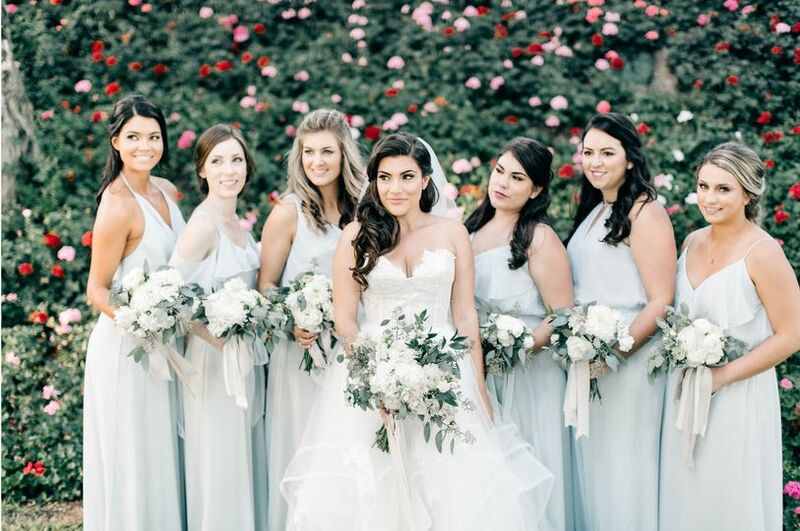 On the wedding day, Skyla and her team made it much less stressful because they were there to set up and we didn't have to rely on family members that may not have followed through. Everything was so nice the way everything was set up. The day of the wedding right before the ceremony, my eyelash started to fall off, Skyla went and bought some eyelash glue and fixed it for me. Even at one our vendor meetings, my husband's car broke down, and Skyla was kind enough to drive me to where he was and jump our car. Skyla and her team went above and beyond and 100% happy with everything that they did!! Skyla did amazing on our wedding. I have known Skyla for a few years now as we went to high school together. When I started looking for a wedding planner I immediately emailed Skyla on her website. I booked Skyla as a Day Of Coordinator. Throughout my planning process Skyla was there for any questions or issues I had. I knew that if anything came up I could call, email or text Skyla and she would answer me in a timely manner. When it came to the month of the wedding, where Skyla would take over, I made sure to have everything ready for her that she needed. At our rehearsal for the ceremony Skyla did amazing coordinating the Processional and Recessional, she also went out that night to get me anything that I had forgotten. On the day of our wedding Skyla was there for me every step of the way. She made sure that the reception hall was set up to mine and my mom's specifications. She met each vendor and made sure that everything was going smoothly the entire day. Our reception timeline went perfectly and Skyla made sure to keep us on track. I highly recommend Skyla and her team! 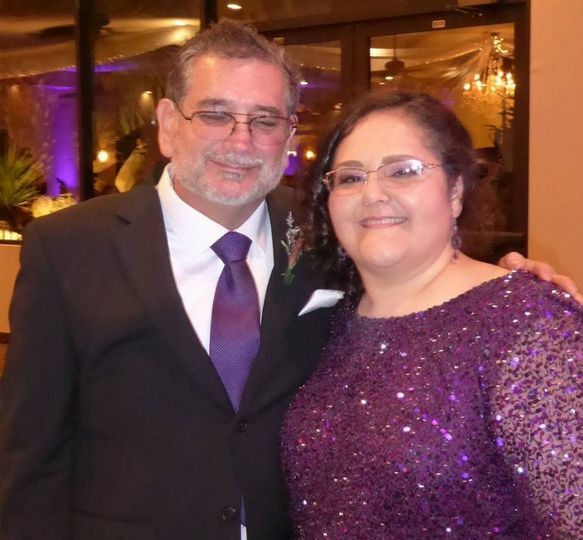 She is very professional, even for knowing me since high school, she is driven and she ensures that her bride and groom are satisfied and well-taken care of. Skyla made our wedding day care free and I was able to enjoy the day without worrying about anything that was going on. 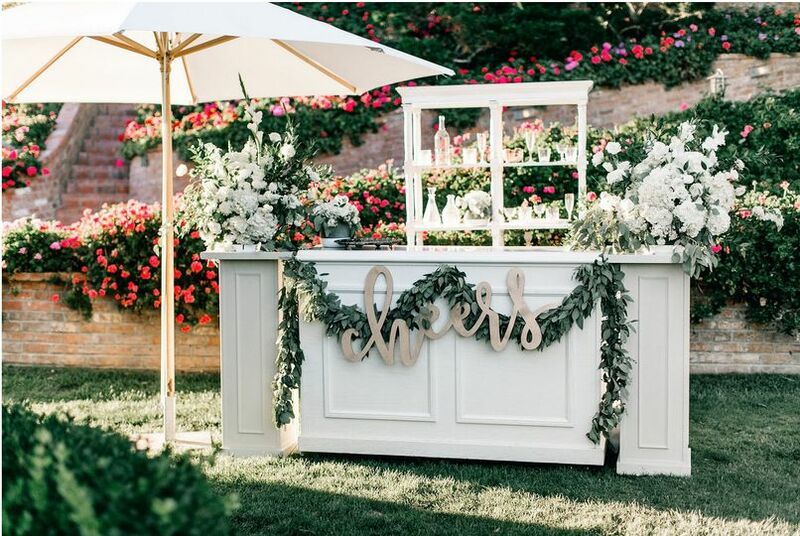 We endorse Skyla Brooke Weddings and Events as a preferred vendor. She provides great deals and customer service. I am a wedding photographer that has the opportunity to work with Skyla are a number of opportunities. I am blown away from Skyla&apos;s expert planning services! Skyla is a joy to work with throughout the whole process of planning a wedding. Skyla is friendly, professional, reliable, organized and attentive to details; she is also quick to respond by email or call. She is a delight to work with on weddings! I am amazed at Skyla&apos;s talents; she has the skills of making simple details elegant. 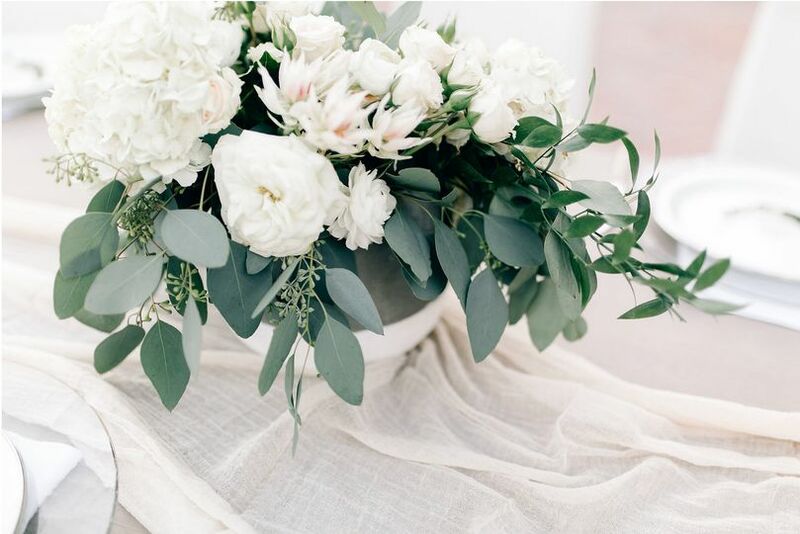 You will fall completely in love with her wedding styling. Skyla&apos;s breath of knowledge ranging from vendor selections to designing your details is stunning. 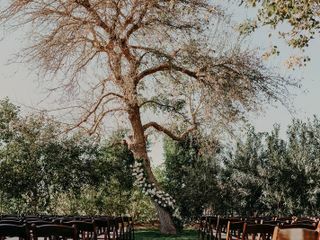 I worked with her on a classic wedding where she strategized each detail: signs, crystals, long candlesticks, vow books and a long romantic wedding dress. 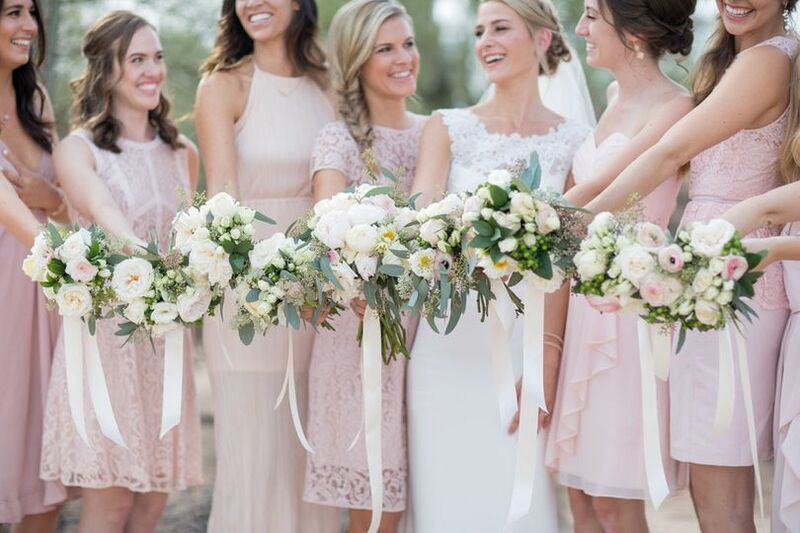 Hands down, Skyla Brooke Wedding Events is one of the best wedding planners in Arizona. Skyla&apos;s service are of an amazing value! 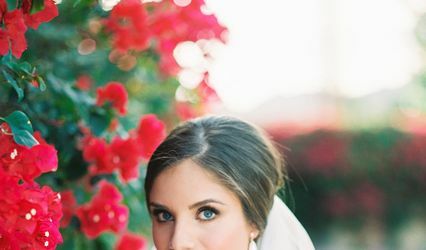 She is the person I would recommend to a friend or family member planning their classic, timeless, and romantic wedding! Skyla is absolutely wonderful! She is one of our preferred and favorite coordinators to work with. Her talent and commitment is evident from the moment you meet with her. She is so professional and kind and that transfers to how she works with her clients flawlessly. 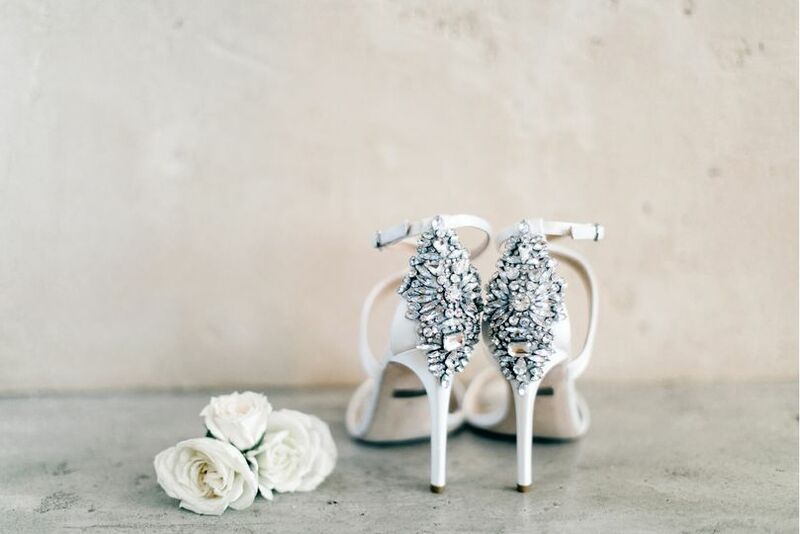 She takes care of all the details so that each bride can focus on enjoying her day without having to worry about anything, but enjoying her wedding day!